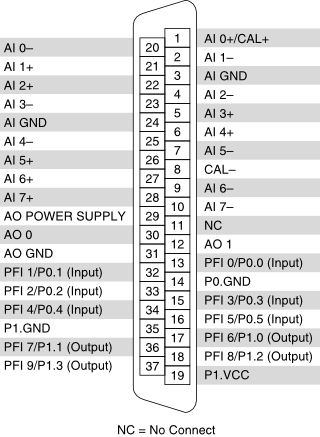 Analog Output Channels—These terminals supply current output. AO channels are isolated from earth ground and chassis ground. Analog Output Power Supply—Supplies power to the analog current output terminals.